The Obama Administration will hold the dubious distinction as the most hostile presidency towards whistleblowers in the history of the US. The administration’s unprecedented enmity towards individuals, such as Chelsea Manning and Edward Snowden, who were courageous enough to expose US war crimes, fraud and corruption was met with aggressive retaliation, imprisonment, exile and ham-fisted punishment. Since 2009, the Administration has invoked the WWI-era Espionage Act that carries not only the possibility of life imprisonment but also the death penalty. The administration has sent a clear message that individuals who expose crimes will be severely punished while the perpetrators of the crimes will receive immunity. Clinton later commented that it was “sort of odd” that Snowden fled to China and Russia, countries that have restrictive cyberpolicies. Furthermore, she said that his leaks helped certain terrorist networks. 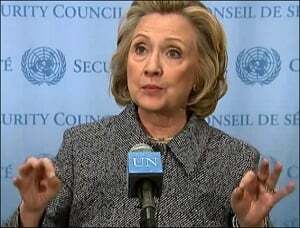 The State Department announced Friday (1/30/16) that it will not release 22 emails from former Secretary of State Hillary Clinton because they contain “top secret” information. This information comes three days before the critical Iowa caucuses. The State Department noted that 37 pages are now classified at the highest level of government classification. Nevertheless, Chelsea Manning sits in a federal prison because she exposed war crimes against unarmed civilians in Iraq. Another example of government benevolence towards their disciples is the case of General David Petraeus. US Defense Secretary Ashton Carter, signaling the encircling of the wagons around David Petraeus, announced this week that the US government has decided not to “impose further punishment” on the former US military commander and CIA Director for espionage for keeping secret and top-secret documents in an unlocked drawer in his desk inside his home. Petraeus allegedly shared those documents with a female “friend” who was writing his memoir. Unlike Manning, who is serving a 35 year sentence in Leavenworth, and Snowden, forced into exile in Russia, a year outside the familiar walls and perks of the federal executive club was deemed by political insiders as excessive “punishment” for Petraeus. Excessive punishment? Manning is serving 35 years in military prison and Snowden an undetermined amount of time in exile – that’s excessive punishment. It is perhaps noteworthy to mention that Petraeus has recovered from his bout in federal service. He now serves as chairman of the private equity firm Kohlberg Kravis Roberts of theKKR Global Institute. What is remarkable about American democracy is the consistent and perpetual benevolence of the ruling class towards its loyal disciples. Many of these disciples belong to the 99% but characteristically identify and would literally kill on command for the 1%. The reward for their loyalty is straightforward: there is rarely a crime committed by these 1% wannabes that command punishment or rebuke. Police, as agents of the state are granted immunity and rewarded for killing young unarmed Black men and women, investment bankers who nearly tanked the US economy are rewarded with White House cabinet-level positions and generous bailouts from the pockets of working-class communities. Federal employees complaining of racism are eviscerated while their managers receive promotions. The message is clear, there are two America’s – one immune from any accountability and the other living in a political and economic purgatory.